It’s been nearly 9 months since my idol photographer Sir Simon Marsden sadly passed away and I still think how sad it is for everyone that such a genius has left us. Therefore, I have made it my mission that his wonderful photography will always be remembered. He’s my idol simply because, I would have loved to have gone on a photography adventure with him and then I could have asked him what he was thinking of when he took his haunting photographs. I still remember how excited I was when I found someone else who had the same vision as me. As Halloween is approaching, I think it’s only fitting that I share with you, some of my favourite works of Simon’s. If you click on any of the images below, you can visit Sir Simon Marsden’s archive and purchase these beautiful prints along with stunning photography books. 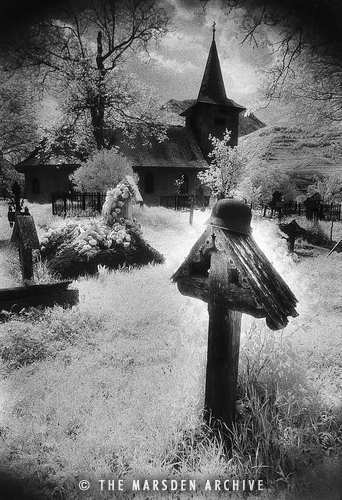 Sir Simon Marsden perfectly captures the eerie atmosphere of a graveyard village in the Carpathian Mountains of Romania. I was lucky enough myself to visit Transylvania and I totally loved it and I can tell you that Marsden’s image also captures the beauty of the ‘Land of the Forest’. How amazing is this photograph? 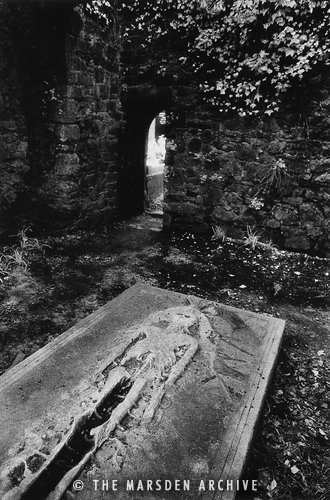 For some reason I imagine Sir Simon Marsden stumbling across this forgotten grave in a secret, but almost fairy tale like setting. The forgotten grave is surrounded by beauty and it really captures my imagination. I can imagine that the only sounds Sir Simon would have heard was his footsteps crunching on the rotting debris. I love it so much! Did they open up the coffin specially for Sir Simon Marsden? To view more of his work, please visit The Marsden Archive by clicking here. You can also get the latest updates by following them on Twitter, @SirSimonMarsden. Why don’t you tell me what photograph of Sir Simon Marsden’s you like best and why? 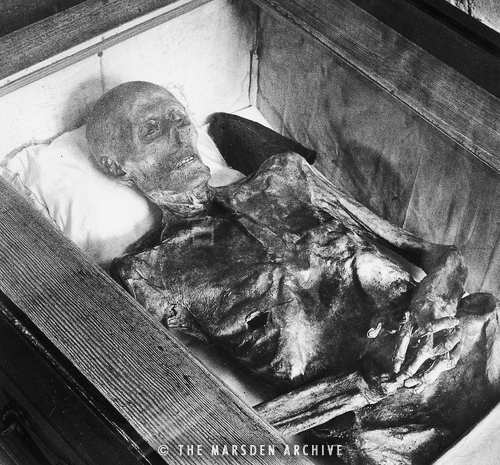 Cadaver, Carpathian Mountains, haunting photographs, Sir Simon Marsden. Bookmark.